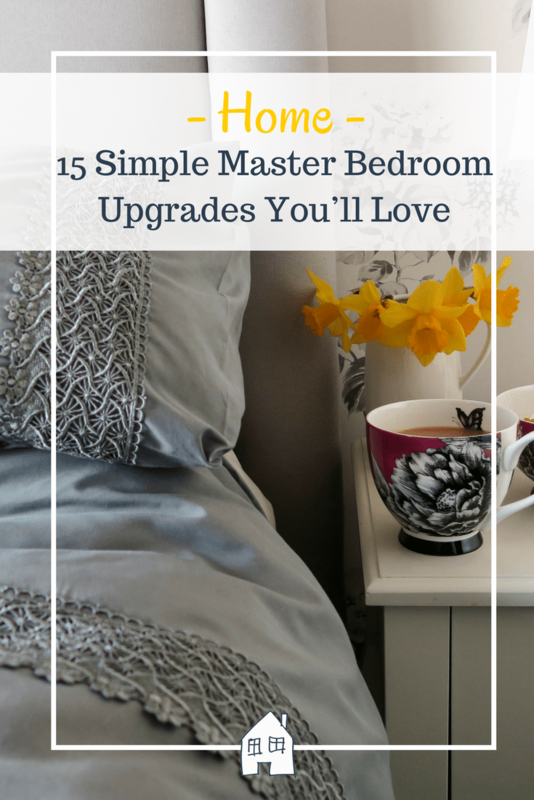 When was the last time you took steps to seriously upgrade your home’s master bedroom? If it’s been a while and you want to get things back on track in your bedroom, now is the perfect time to make some upgrades to the space. The changes you make don’t necessarily have to be huge and you don’t need to spend a huge amount of money to make your bedroom better for you either. So don’t assume that’s the case. So where should you begin with all this? First of all, it’s important to remember that the bedroom is a very personal space so your needs should come first. If it doesn’t work for you, your bedroom needs to be changed, so ensure this is your main priority when you’re implementing changes to your bedroom. However, there are certain changes that can work for many different people. 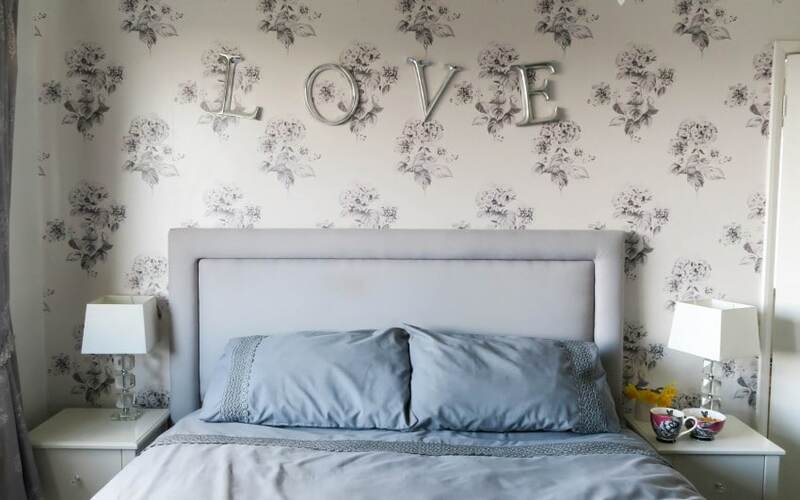 There are lots of simple and straightforward things you can do to make your bedroom more functional, more appealing and generally better suited to your present needs. If you’re looking for ways to change things around, you’re in the right place. Scroll down to find 15 ways in which you can upgrade your master bedroom. First of all, you should work hard to get rid of all the clutter that’s filling up your bedroom. You don’t want to be dealing with all that mess when you’re trying to relax in your bedroom. Clutter should never be welcome, so if it’s currently overwhelming your bedroom in a big way, now’s the time to change that. Have a big clearout and get rid of anything and everything that you don’t really need. Having a simple bench at the end of your bed is something that can really add a new dimension to your room. For a start, it offers you an extra little storage space to make use of, and that’s never a bad thing in a master bedroom, especially if you don’t have much storage space to work with. The bench also offers an extra sitting option, and if you choose a wooden or wicker bench, it adds something natural, which is key. Finding the perfect rug might not sound like such an important thing to do for your bedroom but it certainly is. By finding a rug that instantly offers that comfort you need and want under your feet when you step on it, you will add some luxury and comfort to a room that should be all about those two things. Browse rugs and find one that you feel is both suitable for your room and that offers the right comfort beneath your feet. Dressing your windows in the right way is, of course, very important if you want to make sure that you make the most of the natural light entering your bedroom. Be sure to keep the window dressing minimal enough to offer natural light during the day, while also blocking out any external light when you’re trying to sleep. Experiment with different options until you find the right fit. Layers are great if you want to make your bed look and feel more comfortable. On top of that, it works well for your bedroom on a purely visual level as well. If you have lots of layers combining well, you can easily make sure that the room never looks too plain or dull. Layers add both texture and contrast in terms of colour on your bed. That could be just what you need. Having a small space in the corner of your room that’s dedicated to something in particular can be a nice idea. Maybe it’ll just be a place for you to sit and relax in front of the view out of your window. Or maybe it’ll be a place where you can sit and read away from the stresses and pressures of your life. Either way, you should definitely create a corner sitting space if you have the room for it. Bedside tables are really important in any bedroom. They offer that extra functionality that you really need because the storage space they offer is invaluable. Everyone needs a space where their phone can charge and a drawer where they can keep their book or whatever else they need to store. Bedside tables come in all shapes and sizes, but you should focus on build quality and materials because those are the things that matter in the long run. Once you have your new bedside tables in place, you’ll need to find lamps to place on them. These lamps can be simple and traditional or they can be modernist and dynamic. It all depends what kind of style you’re trying to achieve in your bedroom. It can be a good idea to find old lamps and repair them if you want a classic design that’s not readily available in stores. Art should play a part in every master bedroom because it offers you something that looks great and means something to you on a personal level. We all have certain affinities for certain types of art and artists. If you want to draw on that connection, you can hang this art on your wall and incorporate it into the general aesthetic you’re going for in your bedroom. There’s no reason why you shouldn’t make use of art in your bedroom. If your dresser is currently just sitting there doing not much at all other than the functional things that you’d expect it to do, you should take the time to add something new and interesting to it. This could mean adding new ornaments, maybe some plants or something like that. The simple things can make a big different when it comes to those kinds of issues. Your bed’s frame is not just a functional item that keeps your bed usable; it’s so much more than that. It adds shape to your bed and can change how your bed works within the space of the room. So why not upgrade the frame of your bed and find one that’s both strong and sturdy but also looks great in your master bedroom? It’ll serve you well for many years to come. Once you’ve got a new frame, it also makes sense to find a new mattress for your bed if you haven’t replaced yours in a while. By replacing this, you will find that you’re able to get a much better night’s sleep because your back will be properly supported and you won’t have to worry about aches and pains when you wake up. Too many people underestimate the importance of a good mattress. Throw pillows are usually just for show, but that doesn’t mean you should make use of them. They look great and your bed can always benefit for a little extra depth and design. They’ll add what you need to make your bed better and more appealing than it is right now, so don’t ignore this minor but significant upgrade. When choosing the throw pillows, try to find find ones that fit in with your room’s existing aesthetic. The colours you choose for your wall will say a lot about your bedroom and how it’s used going forward. If you have bright and garish colours, it won’t be the relaxing and tranquil space you probably want it to be. So that’s why you should instead opt for a more mellow and subdued kind of colour in this room. This change will immediately make your space feel more suitable and more grown up, which has to be positive. It’s definitely a good idea to limit the amount of tech present in your bedroom. It’s so much harder to relax when you’re got a million flashing lights facing you and so many screens tempting you. Your bedroom should be a place where you can relax and get away from so many of those distractions that come with modern life. Sure, it might be hard to break with your appliances but make your bedroom a sanctuary. You won’t regret it. Your master bedroom should be perfect for you. It should be the kind of place you look forward to spending time in at the end of a long day, so make sure that you put at least a few of these ideas into practice. You and your partner deserve the very best bedroom you can get, and these ideas can help make that happen. So nice to get all fresh and clean ready for the summer isn’t it! I’ve just invested in a Tempur mattress and it’s a Godsend! Also, agree with the whole issue of decluttering. I’ve realised how simple life could be once we get rid of stuff we don’t really need! I love decluttering, everyone best watch out as I am on a mission to get rid of so much stuff! Limit the tech is my favourite. I can’t understand TVs in bedrooms – those annoying red standby lights constantly lighting up the room. Some lovely ideas here for a revamp. Oh I am glad I am not the only one who has a thing about lights in the bedroom! Spring makes you ready for a good clean doesn’t it!! 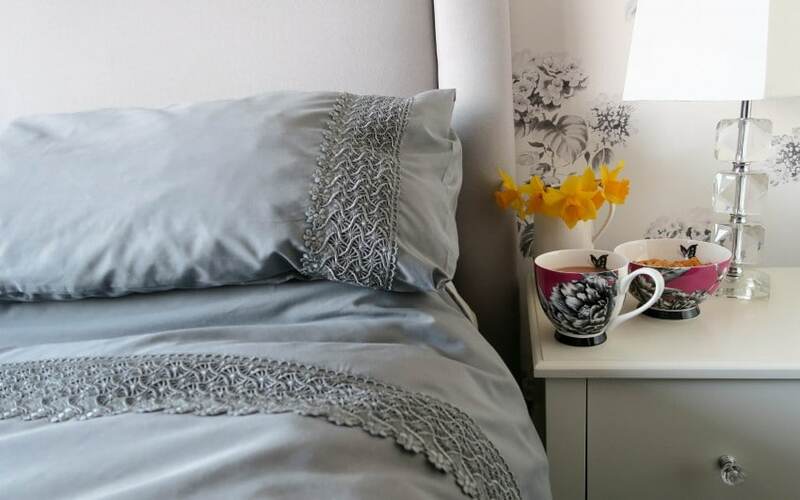 Some really lovely ideas there, I really need to update my bedroom as it is always last on the list and as I spend so much time in there, I love the idea of a bench at the end of the bed, I am going to definitely start planning my new bedroom after reading this. This is so helpful! We are decorating our master bedroom at the moment so great ideas! I am always surprised on how much a fresh lick of paint can make such a difference. Everything feels so much better without a load of clutter doesn’t it!